#1 How are you guys liking my Blogmas posts so far? If you haven't caught up on all of my Blogmas posts I have them all linked down below. #2 Two more weeks until Christmas and I still haven't started Christmas shopping! Ugh! Hopefully, I will buy some gifts this weekend. #4 This dairy-free eggnog guide was very well done. Like I mentioned on my December Bucket List I want to try eggnog again. I already saw some in stores but hesitated to buy them because I still think it's too early (Apparently, 17 days til Christmas is still too soon for me...). I've only tried the Silk Eggnog before and it was really sweet but I think I'm going to try the So Delicious Coconut Eggnog since it got a top rating and I know my local Target has it. #5 Did you hear about the Starbucks Christmas Tree Frappuccino? I first saw this on somebody's Instagram story a couple weeks ago but I didn't know it would come to the states. It's a mocha and peppermint base frappuccino with matcha-infused whipped cream topped with candied cranberries, caramel drizzle, and a strawberry "star". I'm definitely going to try it! 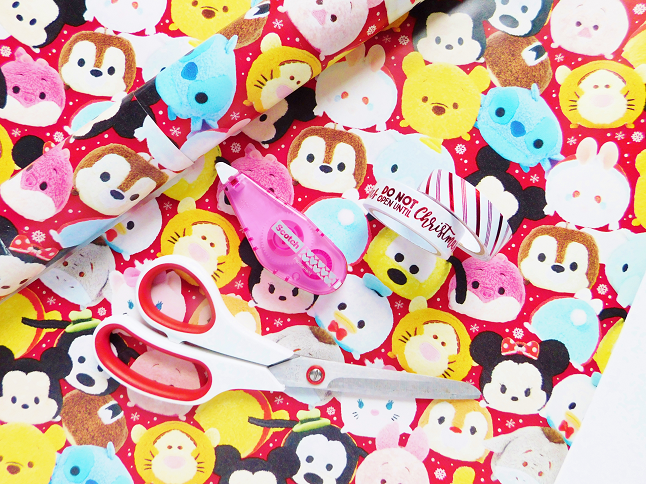 #6 How cute is that Tsum Tsum wrapping paper! I found it at Target and it was the last roll so it was meant to be! I also found some Christmas washi tape at the Dollar Spot which I may use to decorate my gifts. #7 It's going to "snow" this weekend in Georgia but I doubt it. It did snow in Texas so anything is possible. Honestly, though I think we will just get some flurries or frozen rain that turns into slush. With that being said if it does snow I won't complain because I love snow. We got a lovely lush scene of snow in the part of GA I'm in! I should have stayed home from work, and almost got stuck out there in it! I hope you had a lovely view too! I was heading back home around the time the second round of heavy snow started hitting. We got 10 inches and just got our power back an hour ago!